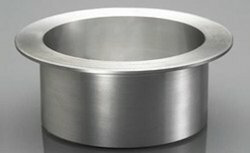 Our range of products include stainless steel tee, stainless steel union, stainless steel short stub end and stainless steel 316l reducer. 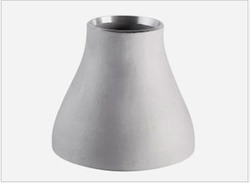 Our company is the major in offering Stainless Steel Tee to the clients. 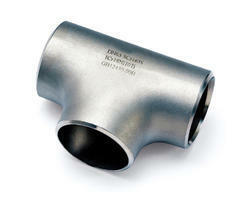 Stainless Steel Tee are rigorously tested upon various measures by quality checkers. These products are widely demanded by clients. Offered range is manufactured by using premium quality raw material and superior technology under the direction of skilled professionals in line with industrial market standards. With profound obligation towards preeminence, we are enthusiastically involved in offering to our customers an inclusive assortment of Stainless Steel Union. Making use of supreme class quality basic inputs and factory material together with highly modern tools, these presented provided are developed at well-fortified fabrication unit. Apart from this, these products are enormously famous in the market. With the assistance of a team of highly qualified professionals, we are engaged in offering Stainless Steel Short Stub End. The offered product is designed by using high quality of stainless steel. 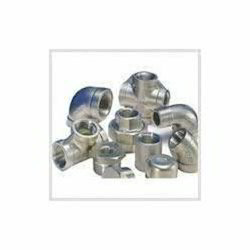 Rendered by us in various sizes and dimensions, these ends are used for joining two or more pipes together. Packing: All buttweld fittings are marked with Grade, Lot No, Size, Degree, and our trademark.Products are packaged to ensure that there is no damage during transit. In the case of exports, the standard export packaging is done in wooden cases.